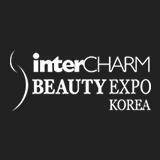 "Korea’s Biggest Exhibition Cosmetics & Beauty Industry"
InterCHARM Korea is one of Korea’s biggest exhibitions in the beauty industry. 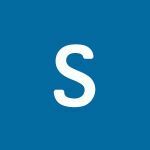 This event comes up with a comprehensive range and variety of equipment, products, and services related to skincare and cosmetics manufacturing process. As a top trade fair for the Korean beauty market, Beauty Expo Korea leads the way in showcasing the latest trends and new technologies coming out of the beauty industry. It exhibits Cosmetic/Makeup, Aesthetic/Spa, Hair/scalp/Wig, Nail/Lashes, Organic/Health. I didn't see much of branded at Events. 1/2 is accessories and salon department and OME. I'm struggling with language which less translator or lots of exhibitors cannot speak English. it was amazing event and the exhibitors entertain the visitors very well. Profile for exhibit include Hair care products & equipment, Skin care products & equipment, Nail beauty products & equipment, Hair salon equipment & accessories, Beauty salon & spa equipment, Professional salon furnishings & interior, Services for the cosmetics industry, Beauty school, Hair Franchising companies, Well-being products for women, Scalpe care products & equipment.